Captain Ashby of the Virginia militia had overseen the fort’s construction during the summer and fall of 1755, Fort Cocke—to the south. On April 17, 1757, George Washington ordered the Virginia militia to abandon Fort Ashby in present Mineral County. Captain Ashby of the Virginia militia had overseen the fort’s construction, and Fort Cocke—to the south, during the summer and fall of 1755. Ashby and Cocke were the first of several forts ordered built by Washington to defend the Western Virginia frontier during the French and Indian War. The effort was in response to Indian raids that had occurred along Patterson Creek in 1755. At the time, the colony of Virginia was trying to encourage settlement on its western frontier and protect those who’d already settled there. 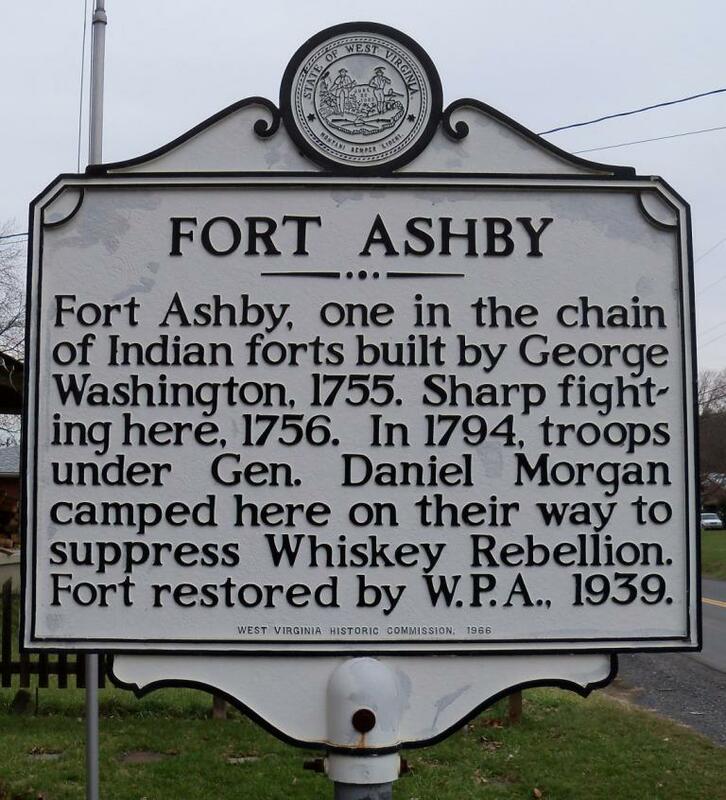 By 1757, Washington could no longer provide enough forces to protect Forts Ashby and Cocke, so he abandoned both sites. Afterward, Ashby was likely garrisoned by local militia until the threat of Indian attacks ended. Today, an old log building—probably a barracks—is all that remains of Fort Ashby. This structure, which was added to the National Register of Historic Places, is the last original structure associated with a frontier fort in West Virginia.